Sho: So, about the party, how about having it at my ryokan? Miki & Yota: At your ryokan? Sho: Yeah. There's a big hall that can fit a lot of people. Yota: I think it's a great idea! It's unique, so everyone who comes will remember it. Sho: Also, I can ask Grandma to rent it out for cheap. Yota: Cheap is good. Also, if our families find out the famous Sato Yoko will be hosting the party, they'll definitely come. Miki: Well,　you're the organizer, Yota. Do what you feel is best. Sho: OK, that's two goals I can achieve in one night! Let's do it. 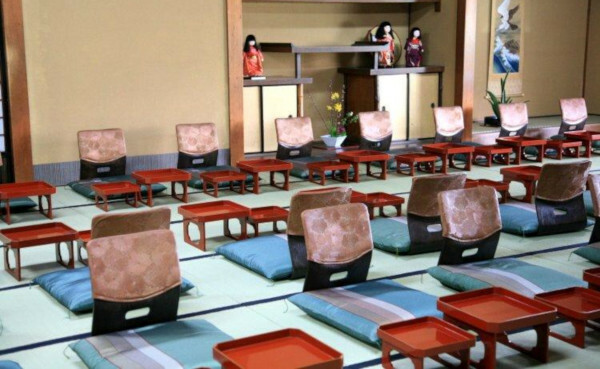 So, about the party, how about having it at my ryokan? Yeah. There's a big hall that can fit a lot of people. I think it's a great idea! It's unique, so everyone who comes will remember it. Also, I can ask Grandma to rent it out for cheap. Cheap is good. Also, if our families find out the famous Sato Yoko will be hosting the party, they'll definitely come. Well,　you're the organizer, Yota. Do what you feel is best. OK, that's two goals I can achieve in one night! Let's do it. Where does Sho want to have the party? You should do what you want to do. Say what you believe is right. I'll do what I can do for you.